Dorothy Day once said, "Food for the body is not enough. There must be food for the soul." So many of the meals I've enjoyed this year were about more than just the food. The company, the atmosphere, the location, the dirty jokes, the variety of forks - all of that contributed to my highlights this year. I had so many dining experiences that served as food for the body AND the soul. So without further belaboring the point, here are my favorite edible things from 2013, in no particular order. 1. BOROUGH. Gerg and I had the opportunity to enjoy a five-course, Skuna Bay salmon dinner at Borough shortly after they opened last year. 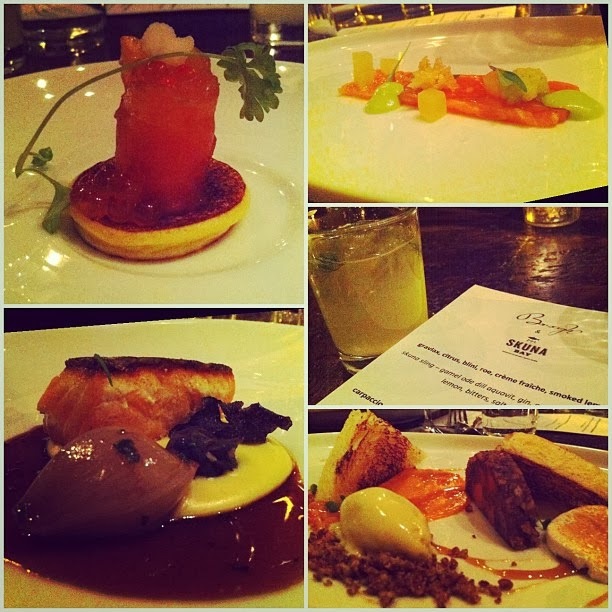 The gravlax topped blini (upper left) was particularly lovely. 2. GLAM DOLL DONUTS. 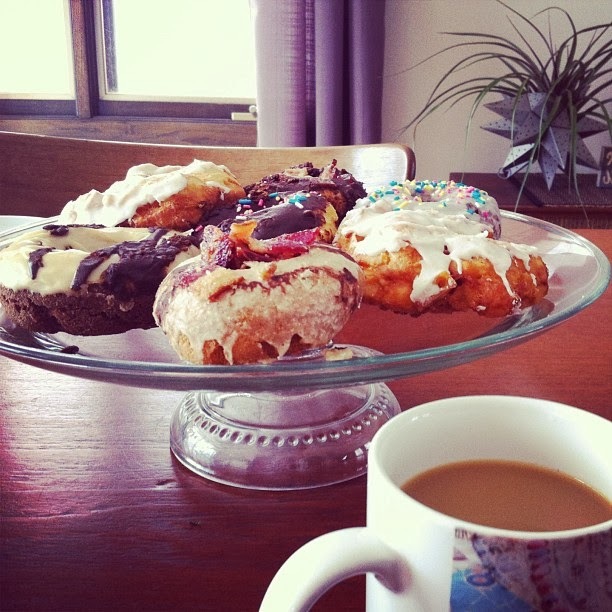 Glam Doll Donuts opened this year, to the cheers of late night donut lovers everywhere. After a night on the town, we grabbed a heaping platter of donuts, featuring my favorite, the Femme Fatale, filled with fresh raspberry curd and topped with vanilla icing. I DIG IT. 3. VALENTINO PASTA. Much to my surprise, a blast from the past started a pasta business last year. 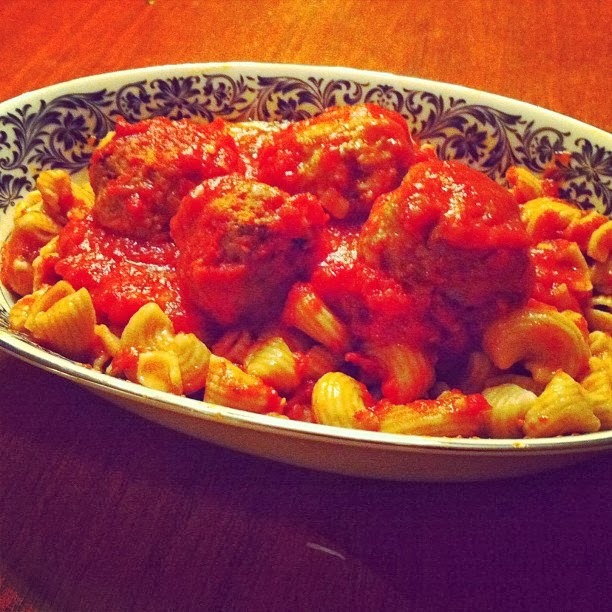 These home made pork meatballs and red sauce with Valentino spelt lumache pasta were perfection. Valentino pasta is handmade, small batch pasta from Chicago. 4. FROZBROZ. 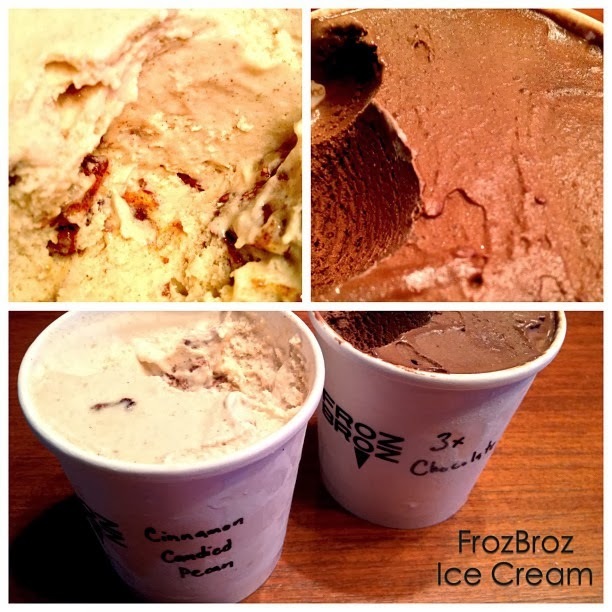 We adored the Cinnamon Candied Pecan AND the 3x Chocolate ice cream we got from Froz Broz as our prize for supporting their kickstarter this year. The ice cream-making duo known for their zany flavors and random Facebook ice cream giveaways is finally selling pints of their killer ice cream at their new commercial kitchen space at CityFoodStudio. 5. 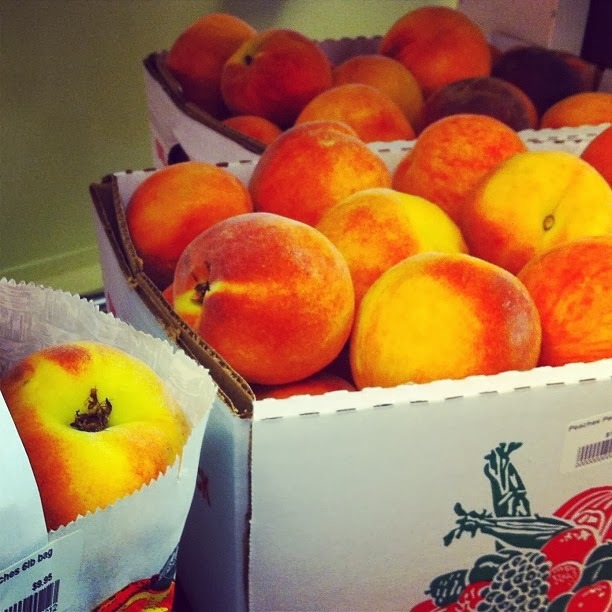 FRESH INDIANA PEACHES. These freshly harvested peaches at Tuttles Orchard in Greenfield, Indiana were mind-blowingly good. My colleagues and I had an opportunity to do a multi-day farm tour around Indianapolis this year, and we stopped by Tuttles Orchard at peak peach season. Lucky us. 6. PIZZA NIGHT AT TWO PONIES GARDEN. 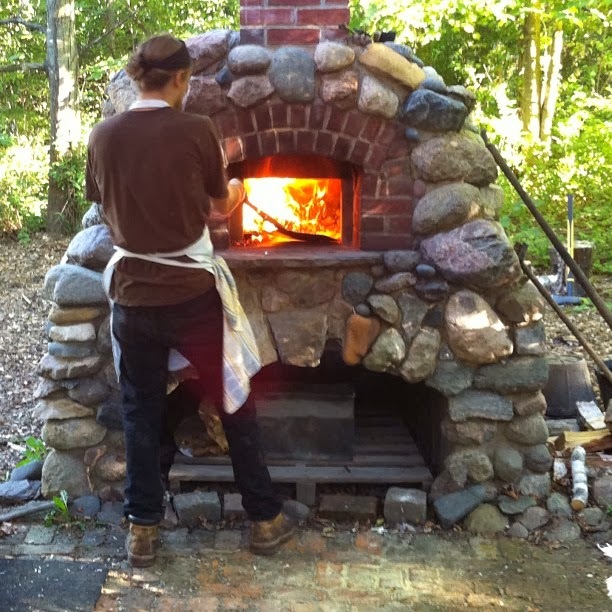 Four fabulous friends had a chance to grab a margherita pizza at Two Ponies Garden in Long Lake, MN this fall. The pizza was a high five for your mouth, but the atmosphere was even better. We loved hiking through their dahlia garden. 7. RESTAURANT ALMA. A noteworthy birthday celebration at Restaurant Alma included a 9-course dinner and 3-course dessert. 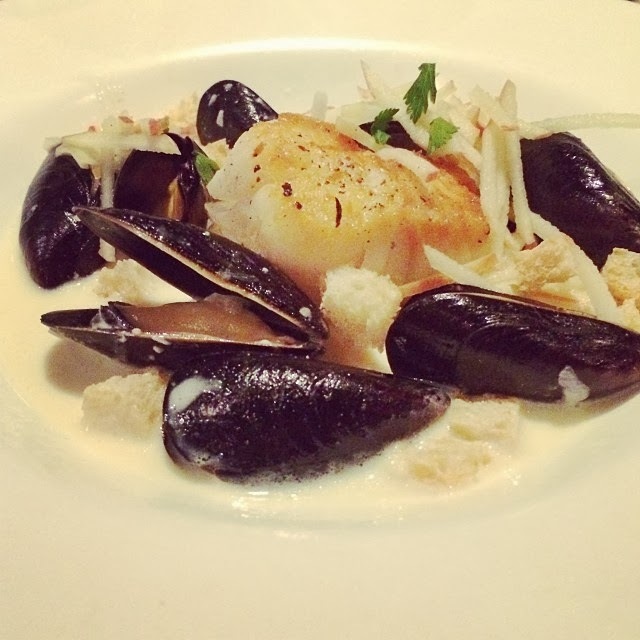 The standouts for me were the wild cod and mussel stew and the honey chocolate pot du creme. We also raised a glass to our friend, Carrie, who became the pastry chef at Alma this year. 8. FRESH MICHIGAN BLUEBERRIES. On a week-long farm tour through Michigan, some colleagues and I stopped to talk with blueberry growers in Covert, MI. 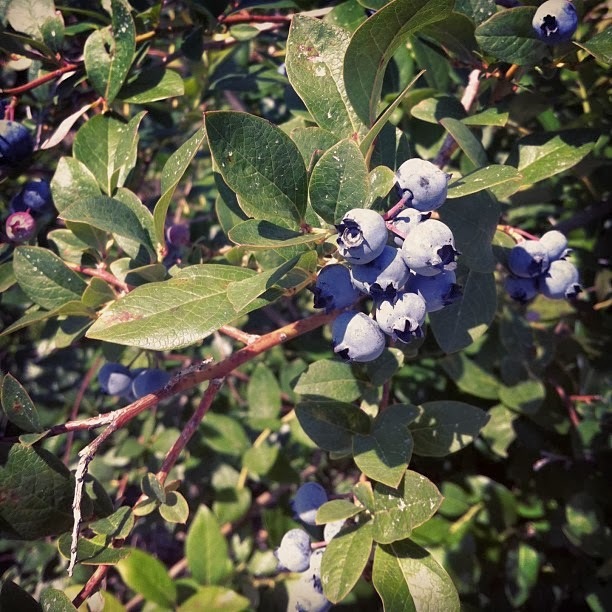 We walked and talked through the rows of bushes and nibbled on freshly harvested blueberries for lunch! 9. 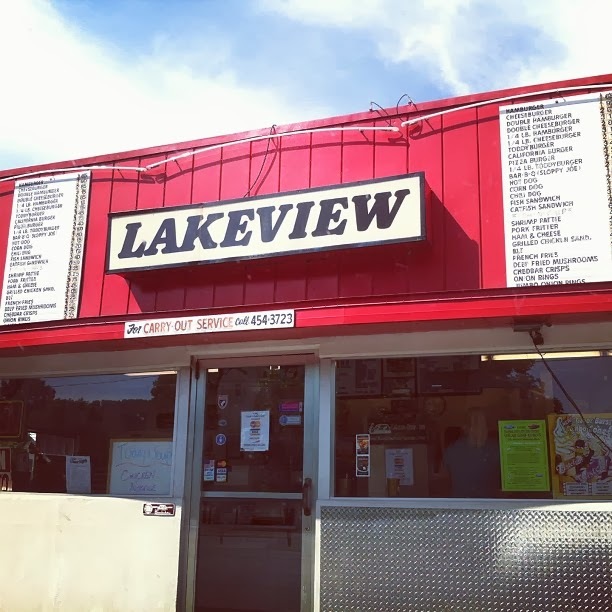 LAKEVIEW DRIVE INN. On a day-trip date to Winona, MN, Gerg and I stopped at the Lakeview Drive Inn for some fried sunfish and a home made root beer. It was a perfect Minnesota summer lunch with the handsomest companion. 10. GOOD THUNDER. Made with grass-fed milk from Cedar Summit Farm, Alemar Cheese's Good Thunder has a stiffer, pasty texture, with a smoothness that is slightly reminiscent of its sister cheese, Bent River. New this year, these lovely squares of cheese are molded and salted by Kieth Adams and his crew, and then the rind is washed in Surly Bender, an oatmeal brown ale. 11. BURCH STEAK. 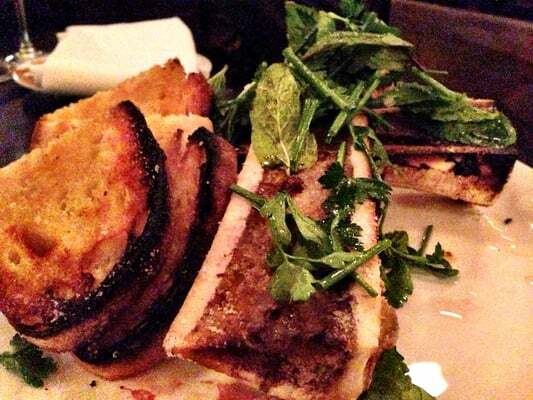 Burch opened in 2013 to thunderous applause, and while I adore their dumplings and pizza, the wood roasted marrow bone with gremolata is my favorite dish there. We rang in the New Year at Burch this year, with a grip of some of our favorite folks, and it was a damn good idea. 12. TRAVAIL AND UMAMI. Before Travail closed in 2013, we had to stop in for one last supper. My favorite dish that night was the angliotti with asparagus, a poached egg, and a buttery foam sauce reminiscent of hollandaise. After they closed, I had a couple of opportunities to check out Umami by Travail, their temporary, pop-up restaurant. I'll never forget Umami's legendary chicken wings. 13. 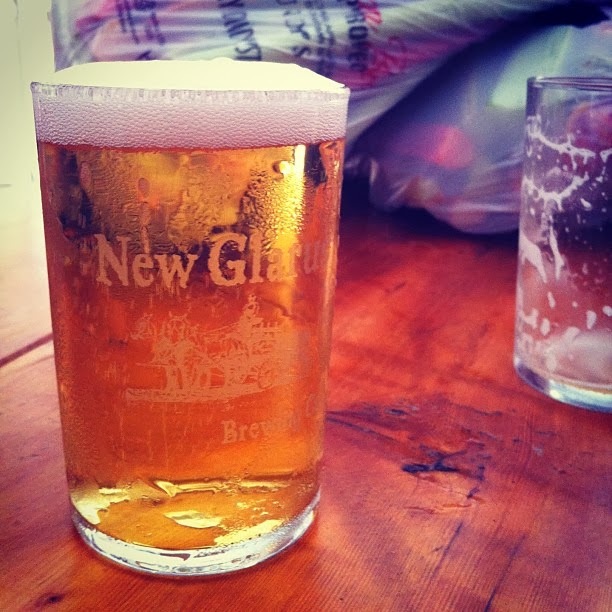 NEW GLARUS. A group of us goofballs made a trek to the New Glarus Brewing Company's 2013 Beer, Bacon, and Cheese Fest. It was an epic day filled with sun, tons of glorious suds, and a fabulous Wisconsin supper club fish fry for dinner afterwards. My royal birthday cake, whipped up by Carrie Vono. TWO Jello molds for Shanny's Halloween party, crafted with care and booze. Pizza and pumpkin pie in the hospital after my sister delivered her first baby. Entering jams, jellies, and pickles in the MN State Fair, even though I didn't win a ribbon. AGAIN. An epic gingerbread house building competition with my in-laws. An off-the-hook fish fry the night before Mark and Sarah's wedding. My last drink before I found out I was pregnant in August was...a bottle of Schlitz. I read your whole post and I really liked it. Thank you for sharing this post with us. I would like you to write something more in your post to make it a bit valuable.